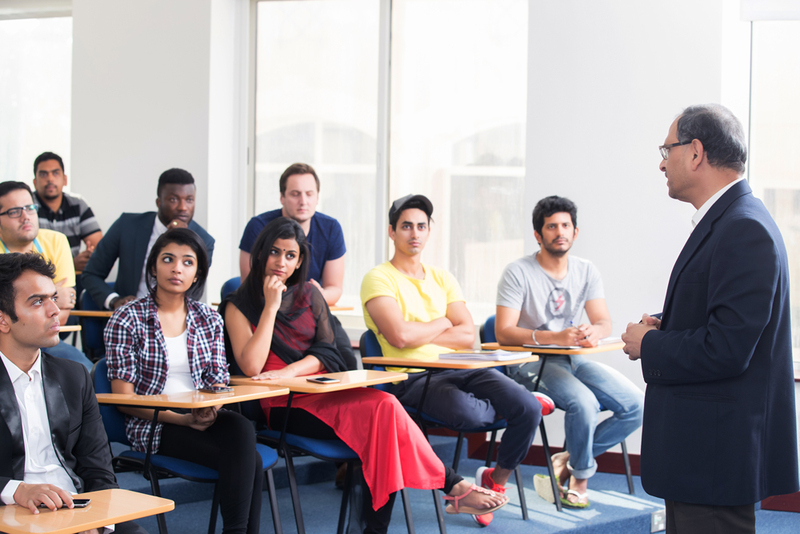 The Institute of Management Technology Dubai (IMT Dubai) is an international business school that is devoted to preparing industry ready, socially responsible and aware professionals for businesses in the Middle East and around the world. The Institute prides itself on having a strong academic focus, industry collaboration, and an entrepreneurial mindset. It offers accredited undergraduate and postgraduate programs to students from a multitude of nationalities and educational backgrounds. Established in 2006, the Institute was among the first International Business Schools to have set up a full-fledged campus in Dubai. Management Development Programs for companies operating in the region. The quality of education provided by IMT Dubai is certified by the Ministry of Higher Education, UAE; the Institute is licensed by MOHESR and KHDA, and all its programs are accredited by the CAA. A strong International exchange program augments the learning experience and exposure as the Institute has agreements with 15 leading Universities across Europe and the USA for student exchange and double degree programs. Every year nearly 15% of the students at IMT Dubai is from one of the exchange partner schools. The state of the art campus located in Dubai International Academic City hosts world-class teaching and learning halls, a library and other curricular and extra-curricular infrastructure. On-campus hostel facilities also ensure a full university experience for students. All in all, at IMT Dubai, students get a grounded learning experience and international exposure that forms the foundation of a promising managerial career.